The Lawyer Referral Service is designed to assist people who have legal needs and wish to consult with a private attorney but do not know who to call. The Lawyer Referral Service (LRS) is a non-profit public service program sponsored by the Hartford County Bar Association. The service is designed to assist people who have legal needs and wish to consult with a private attorney but do not know who to call. 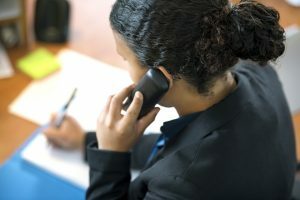 Lawyer Referral Service will refer the individual to an attorney who is a member in good standing of the Connecticut bar. If you have a legal problem and wish to consult with an attorney, call the Lawyer Referral Service of the Hartford County Bar Association at (860) 525-6052. LRS will refer you to the appropriate attorney. Office hours are Monday through Thursday, 9:00 A.M. – 3:00 P.M. and Friday, 10 A.M. – 2 P.M. All referrals are made over the telephone. You will be asked a few questions in order to determine the nature of your legal needs. All information you tell the Lawyer Referral Service staff is strictly confidential. A moderate fee of $35 will be charged to you for the referral which entitles you to a ½ hour consultation with the attorney. The $35 fee will be waived for Personal Injury, Worker’s Compensation and Social Security Disability matters. If it is determined by the lawyer that further legal service is required, all additional fees will be discussed with the lawyer. It will be your responsibility to contact the attorney to arrange for an appointment. If you are unable to keep your appointment, please be sure to call the attorney to reschedule. Please note, this service does not handle pro bono referrals. Hosted by John C. Matulis, Esq.